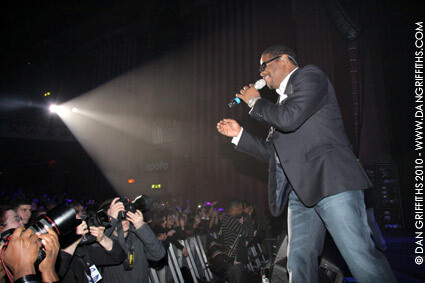 This photo of Boys II Men was taken last night at the groups sold out Hammersmith Apollo show. The group have been going since 1988 and I shot the show for Retna photo agency. They are the most successful R&B male vocal group of all time, having sold more than sixty million albums worldwide. You can see more images by clicking on the picture above.